Heat oil in large non-stick skillet over medium-high heat until hot. 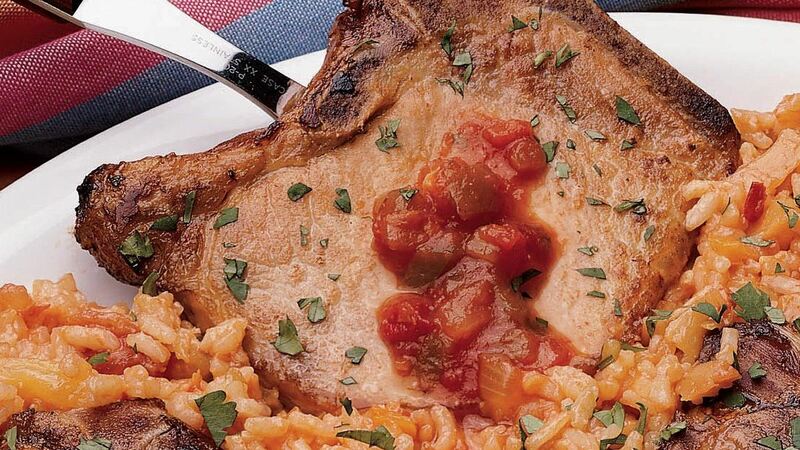 Add pork chops; cook 1 to 2 minutes or just until they begin to brown, turning once. Add garlic; cook and stir 30 to 45 seconds. Add water, pineapple and rice; mix well. Bring to a boil. Reduce heat to medium-low; cover and simmer 20 minutes or until pork is no longer pink in centre, rice is tender and liquid is absorbed. Tip: Turn the heat intensity up or down by choosing mild, medium or hot Old El Paso* Thick N' Chunky Salsa.